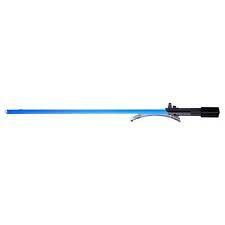 Star Wars Obi-Wan Kenobi Electronic Lightsaber Bladebuilders 22"
Graflex ROTJ Skywalker ROTJ lightsaber prop hilt. Full size replica prop. A great prop at a great price. ESB blade tension screw included. Easily dis-assembles for electronic installation. Sliding body reveals crystal chamber. 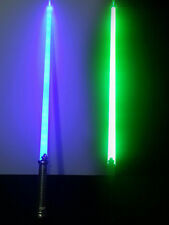 • Perfect generic Star Wars Sword, kids will enjoy playing with this LED light-up sword. It makes a natural sound when it swings from one side to the other. • Size: 28.75" (overall length). • Color: green or blue. Includes lightsaber and instructions. We will respond. Condition :New. All of our products are Professionally Tested/Inspected and Re-certified. Collector-grade quality. Realistic light effects.Not for children under 3 years, Ages 4 and up. 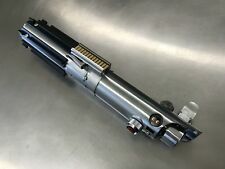 Graflex Skywalker Lightsaber Empty Hilt - NO BLADE NO ELECTRONICS. - use this empty hilt as a display piece, cosplay prop or DIY project. - hilt can accommodate electronics/sound installs (requires disassembly ). Star Wars - A New Hope - Obi Wan Kenobi Lightsaber. 3d print is high quality abs 20% infill, 11"x2.5"x2.25". This is a 100% professional, 1:1 full cosplay lightsaber. Saber is hand and spray painted. It is a beautiful representation of an original Graflex 3 Cell flash in every detail. This is thecream of the crop of replicas out there! 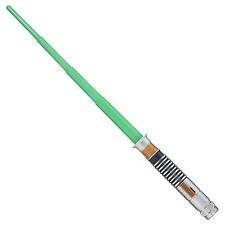 It even beats our own very popular Gen1.9 Saber Kits. If you are looking for the most accurate replica out there, search no more--this is it! 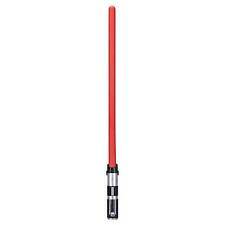 STAR WARS LIGHTSABER LIGHT SABER SWORD 1:1 REPLICA-RED. 47" overall length saber blade. On/Off: Back Lit Power Button (3 sec. hold on/off). Blade Material: Poly Carbon Ballistic Tube. Blade Length: 37 in. This is a lightsaber blade for neopixel lightsabers. These blades are made primarily with TCSS parts and are universally compatible with all TCSS hilt side connectors(with the pogo pin connectors). TCSS V2 Blade Side Adapter. Ultrasabers Standard Battle Saber. Royal blue single Cree led. Custom real leather wrap. Upgraded royal blue led 16mm av switch. Stunt Saber With No Sound. Includes blade plug. Does not include blade. Clean custom install. Put yourself in the middle of the Star Wars saga with this amazingly realistic version of the Obi-Wan Kenobi character's Jedi weapon! When the battle is over and you turn your Lightsaber off, you’ll see the power-down light effects. Instructions are included. During his years as a Jedi, Obi-Wan Kenobi fought with three lightsabers. 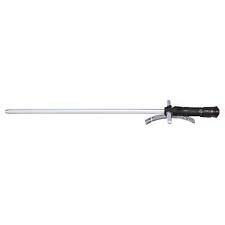 This hilt was his third and final, used in the famous duel against his once Padawan, Darth Vader. Hilt is in excellent condition. So much star wars history with this one! This hilt is empty and is uninstalled and houses a 3/4 in blade or a 7/8 in blade. This is by far my favorite of the " thin necks" as it incorporates the size of the V2 with the copper of the Hero and was used in both episodes 4, and 6. Most of the Star Wars vehicles have realistic action features. 5 out of 5 stars - Star Wars The Black Series Luke Skywalker Force FX Green Lightsaber Brand New! 8 product ratings8 product ratings - Star Wars The Black Series Luke Skywalker Force FX Green Lightsaber Brand New! 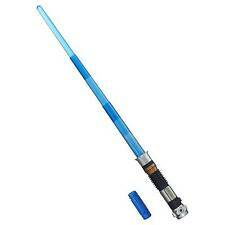 Force FX Lightsaber - Blue. Luke Skywalker. The Black Series 03. Quality adult collectible. Box was too bad to save. Except for the purpose of taking these pictures, the item has never been out of factory sleeve. 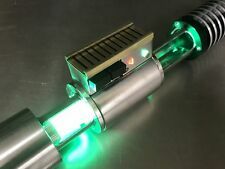 Graflex 3 Cell Replica Rey Luke Saber Prop Kit - Replica Movie Prop Kit. Empty saber kit, plenty of room for electronics (electronics not included). Aluminum plaques that are 3.5" x 1.5" and fit the Master Replicas stands. They can be made to say whatever you want them to say even non Star Wars movies. Upon checkout you must indicate how many you want and exactly what you want it to say in the order you want it written along. Will work with any in-hilt LED saber set up. "Dual" Wrapped to create a bright-even blade when lit. These polycarbonate blades are made using only the strongest polycarbonate material on the market! H I V E REACTOR. THIS BLADE PLUG IS HAND BUILT USING STAINLESS STEEL AND ALUMINUM COMPONENTS. THIS PLUG WILL FIT MHS BLADE HOLDERS AS WELL AS ULTRASABERS, VV AND SO ON. 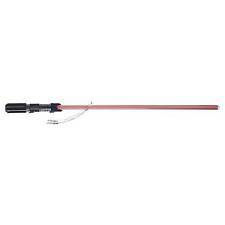 THE SHAFT IS MADE OF A POLYCARBONATE TUBE, THE CORE IS A SOLID ACRYLIC ROD. Master Replica Anakin Skywalker. Force FX Lightsaber. I’ve had this for many many years and need room in my collection. I’ve looked into this and found that its the type of plastic that was used in the line of FX Lightsabers. 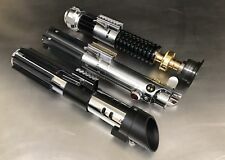 Graflex Flash Replica ROTJ L6 Skywalker lightsaber Reveal prop hilt set. GRAFLEX IS A REPLICA FLASH AND DOES NOT HOLD A BLADE. New improved magnetic door system holds Graflex grip panels very securely. NEW RARE Hasbro - Disney - Star Wars: Return of the Jedi - Luke Skywalker Force FX Lightsaber. This is a lightsaber blade for neopixel lightsabers. TCSS V2 Blade Side Adapter. These blades are made primarily with TCSS parts and are universally compatible with all TCSS hilt side connectors(with the pogo pin connectors). 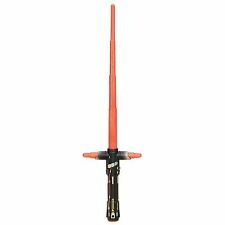 Star Wars Black Series Force FX Rey (Jedi Training) Lightsaber. It is very similar to Luke's from Episode IV. Dawnchaser Sabers Modular Lightsaber Stand System. This is a RGB Custom Lightsaber Stand done in custom Powdercoated Black and it is beautiful. Hello saber friends-. The Stand has a really nice low profile 7.5” distance for any hilt to fit on from small to large.